After the success of Horton Hears a Who! (2008) it was only a matter of time before another beloved work of Dr. Seuss would be transformed into a feat of computer-animated giddiness. Sure enough, there’s The Lorax, with a screenplay by Cinco Paul and Ken Duario — the same duo behind Horton — that does justice to the source material while providing a suitable adaptation for modern audiences. “Every single page in the book is represented in the movie,” Paul said, who wanted to capture all the appeal of his favorite Seuss story. The original book tells the tale of a young boy who visits the shadowy Once-ler in the hopes of learning what made the land around him so barren, a sight that “really haunted” Paul when he was younger. The Once-ler relates how he ignored the advice of the Lorax, a diminutive, mustachioed nature spirit who “speaks for the trees.” And in his greed, the Once-ler cut down the entire forest. It was difficult for Paul and Duario to expand that simple premise at first, but they eventually succeeded by exploring the story of the boy, named Ted (Zac Efron) in the film, as he seeks out a tree to impress his crush Audrey (Taylor Swift). The two live in “Thneedville,” a sugary-sweet and heavily polluted town whose inhabitants don’t seem to care that they live under the thumb of a totalitarian businessman. The inclusion of Ted and Audrey’s story, combined with the classic tale of the Lorax and the Once-ler, form a cohesive, modern whole with a more blatant pro-environmental message than Wall-E. This theme comes from the original book, which strongly considered the dangers that industry and consumerism posed to the environment. Though Seuss claimed “kids can see a moral coming a mile away,” there’s no denying that The Lorax remains his most heavy-handed parable. 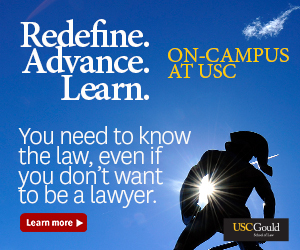 And that’s not necessarily a bad thing. If this new take on the story is trying to be an environmental tale tailored to the current political environment, it entirely succeeds. That said, Daurio was right when he pointed out that “nobody wants to get yelled at for 90 minutes.” And sure enough, The Lorax is the most relentlessly polished, cheery exposition against boundless consumerism that anyone could ask for. The visuals are dazzling, fitting for one of Seuss’s first books to move away from his standard red and blue palette, and the character design is superb. The bears and fish of the forest in particular are this film’s requisite avatars of animated adorableness, and they certainly do the trick. The voice acting is spot-on as well; Danny DeVito is a brilliant fit as the Lorax and Ed Helms makes for a perfect Once-ler, even going so far as to perform the music the character plays. The studio was “worried about this becoming a musical,” but The Lorax does have some musical numbers. So to ensure that the film wouldn’t have a “musical” stigma attached to it, neither Ted nor Audrey sing in the film, even though their voice actors are especially vocally adept. 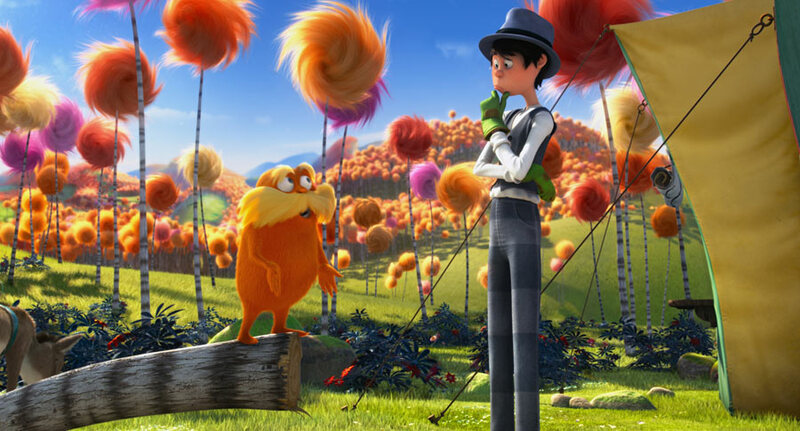 Nevertheless, it works for the story being told, and as a smartly executed animated feature that commits fully to its message, The Lorax is a nice treat for audiences of all ages. I love the work that Cinco Paul and Ken Daurio did on The Lorax. Excellent film!